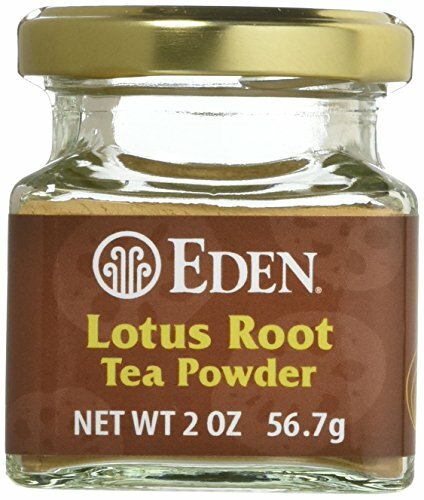 Founded in 1968 as a cooperative natural food store, Eden Foods went on to create their Eden Organic brand, which has a line of teas that includes a pure selection of loose-leaf and tea bags with a focus on Japanese green tea. Based in Clinton, MI and still operating a physical store, they sell their products online and stores throughout the U.S.
Beginning with a group of friends who were passionate about sourcing natural food and motivated by the worldwide fascination with macrobiotics, Eden Foods dedicated themselves to sourcing local and seasonal plant-based foods and whole grains, unadulterated by toxic chemicals and without depleted nutrient value. The Eden Foods Co-op began traveling to rural producers to encourage farmers to grow food with organic methods, seeing as natural foods were not available in the 1960’s. They soon offered items such as soy foods, whole grains, beans, sea vegetables, cereals and nut butters and then branched out by adding a cafeteria and bakery. Known as the Eden Deli, they also sold books and became one of the few places where customers could buy natural, organic and macrobiotic food. Health food stores bought directly from this company and their brand continued to grow. Expanding their product line to include artisan Japanese food, they became an important natural food source in the U.S.
Tracking the environmental impact of their products from suppliers through to company operations and distribution, Eden Foods focus on energy efficiency, sustainability and social responsibility. They were voted the best food company in the world in 2009 and earned A+ and A ratings in 10 food categories. Striving to source locally produced foods and paying farmers directly, this company prepares 75% of their items at their headquarters. This company also prides itself by ensuring that no toxic pesticides, weed killers or fertilizers are used in the growing and processing of their products. They support organic farms by emulating environmentally friendly practices, which includes the preservation of wildlife for positive results that affect the future of all life on Earth. Their traditional teas contain no added flavorings, dyes or additives throughout processing and their tea bags are made from unbleached manila fibers and 100% cotton string, without whiteners or plastics. 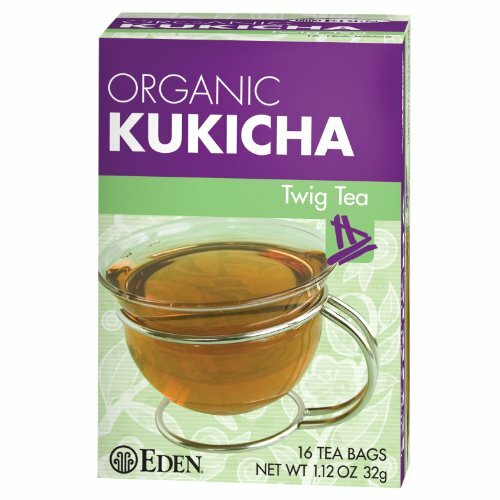 Organic Kukicha tea is a blend of mature dried leaves and twigs from 4 separate harvests, which are then cauldron roasted after being sun-dried and steamed. A soothing and satisfying tea that is low in caffeine, the flavors are smoky and mellow, enhanced with the addition of apple juice. The Spring leaves are hand-picked, steamed and twice rubbed to create a relaxing yet uplifting green tea experience. Fresh flavors and a delightful aroma makes this tea a wonderful morning cup, with its combination of natural antioxidants and palate-cleansing properties. No additives, preservatives, or artificial dyes. The dried, ground root of the Asian water lily is blended with ginger root, resulting in a pleasant tea that is great for congestion, due to its apparent ability to support lung health, according to Oriental holistic practitioners. 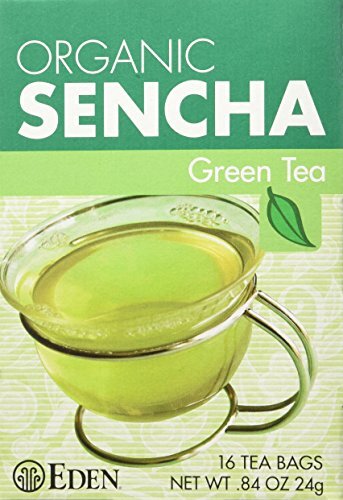 Naturally processed in Japan, this tea can be blended with other teas for an interesting cup. Eden Organic also offer green teas blended with mint, chamomile, rose and a chai version. Along with foods such as condiments, pasta, juices and oils, they have samplers, gift baskets and bulk buying options. Contemplate stocking your cupboards with organic goodies from Eden Foods to compliment your delicious tea for a well-rounded experience. Subscribe for free tea, coupons, and giveaways. We will never spam you, and you can unsubscribe anytime with one click. Tea Perspective is a participant in the Amazon Services LLC Associates Program, an affiliate advertising program designed to provide a means for sites to earn advertising fees by advertising and linking to Amazon.com.